Why Refresh? Because quality and value are our top priorities; buy with confidence from Refresh and refresh your water today! 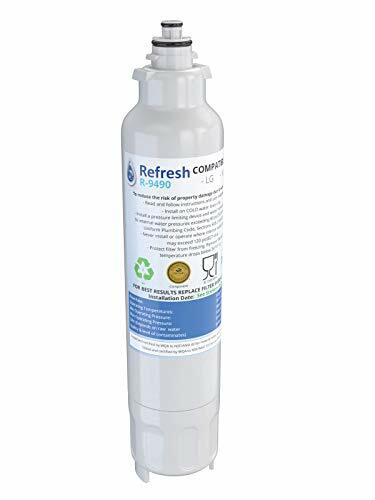 Refresh your family's water with a premium Refresh brand refrigerator water filter. 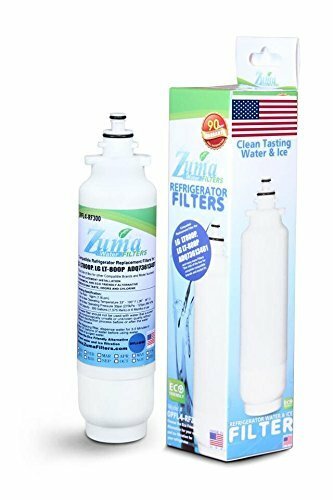 Save big by purchasing a Refresh filter at up to 50% less than the manufacturer part, and save more by purchasing a 2 pack, 3 pack, or 4 pack! TESTED AND CERTIFIED by the Water Quality Association to NSF/ANSI 42 standards. • Filter Removes Chlorine, taste and odor. Does not remove beneficial minerals. Refrigerator model numbers including but not limited to: LMXS30776S, LMXS30746S, LMXS30756S, LMXC24746S, LSC22991ST, LSXS26326S, LSXS26326W, LSXS26326B, LSXS26366S, LSXS26386S, LSXS26466S, LSXS22423S, LSXS22423W, LSXS22423B and LSXS27466 Refer to your manual to ensure ordering the correct, compatible part. 90 Day Satisfaction Guarantee, if for any reason you are not satisfied return for a full refund! No tools required for installation.